Happy Memorial Day! Hope you’re all doing well (all four of you regular readers, that is). Although this isn’t the only thing that happens on Memorial Day, the two things that seem to accent this occasion are cookouts and racing, and since I can’t invite everyone over to my house for a cookout, you’ll have to settle for a post on a racing game. Admittedly, I don’t play a lot of racing games, and if I do they are very casual. I just don’t know enough about cars to take advantage of the complexity and deep customization in Gran Turismo. A lot of people played Mario Kart 64 growing up, and I did too. But, my N64 was over my father’s house, and I only saw him twice a month. So instead of Mario Kart 64, I played a lot of Crash Team Racing. As far as Mario Kart competition went, CTR took the cake. In fact, I’d argue that it’s as good as MK64. CTR took what was great about Mario Kart and improved on it. Did it have the Mario franchises familiar characters? Unfortunately it didn’t, but if you played the Crash Bandicoot games at all, you’d know that there are a lot of neat characters in the series. Maybe not as iconic as Mario or Bowser, but certainly entertaining enough in their own right. Not to mention that some of the characters have some of the most incredible lore behind them. My personal favorite is “Fake Crash”. He’s a copy of Crash with big eyebrows and huge buck teeth. 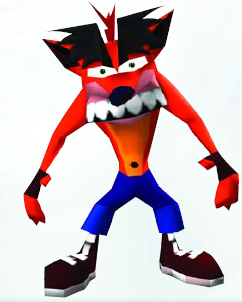 Evidently while in Japan, Naughty Dog saw a bootlegged Crash toy that looked similar to the design, and thought it would be a good idea to put him into the series. Naughty Dog called the toy “Trash Bandicoot”, and this Fake Crash was born. But I take it you’re not here for a history lesson, are you? The gameplay is standard kart racing. 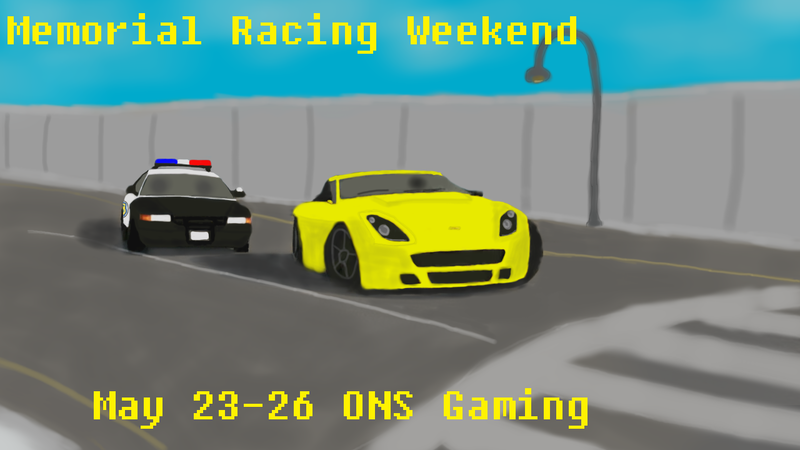 Drive fast, drift around corners, shoot items after picking them up, and win big or go home. However, it had a few more wrinkles. Some of these were ripped from Mario Kart. One being that picking up “wumpa fruit” (the Crash universe’s own version of coins) made your kart go faster. 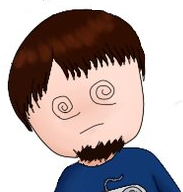 This was actually a mechanic in the original Mario Kart, and was left out of MK64. In addition to making your kart go faster, the fruit also strengthened your weapons and other powerups you might obtain. The more notable mechanic was the power slide. If you’ve ever played Mario Kart DS online, you’ve probably heard of ‘snaking’. If you haven’t, it’s an ‘advanced technique’ (I’m being nice here, the developers didn’t intend for it to be used the way it was) that allowed a player to use a slide-enabled speed boost to go across the map at a ridiculous pace. 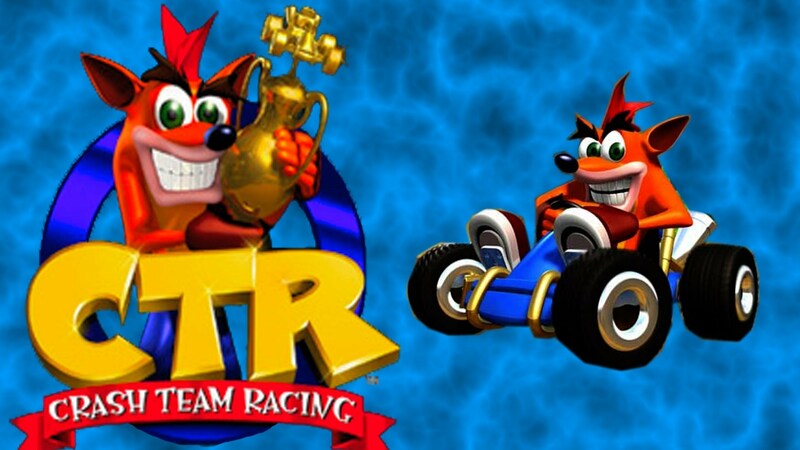 What if I told you that idea first happened in Crash Team Racing? If you wanted to beat story mode, you had to master the power slide. Although not used to the effect that snaking was, power sliding around corners greatly helped you to beat boss characters, especially the final boss. Unlike MK64, CTR actually had a legit story mode. While it wasn’t exactly deep and emotionally moving, it was a nice change of pace from “Win this particular cup on three different difficulty levels”. 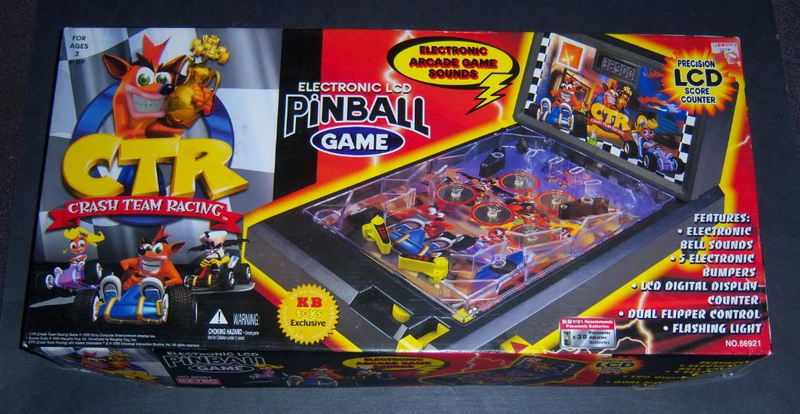 And like MK64, it featured a versus mode and a battle mode, for whenever you had a friend over. With two multitaps, you could theoretically have 8 people playing at once. I never managed to get 7 other people to play it, but it seems like a neat idea. As much as I loved this game though, it was lacking in one area. The soundtrack just didn’t have that same “oomph” as Mario Kart’s does. It’s a very xylophone loaded soundtrack, much like rest of the Crash series. It’s not that the music is bad, it’s just not memorable. And it’s a shame too, because it just takes a bit away from what would otherwise be a perfect game. That being said, the game is really cheap on the PSN, and if you like kart racers but think modern ones have lost sight of the simple fun these games need to be, pick up CTR. You won’t be disappointed. As for me, I guess I can dig my copy out of storage and force B.T. to play it with me. Probably will be easier after a few drinks though.